Open Enrollment is right around the corner (Nov 1st - Jan 31st) to enroll health coverage. This is no exaggeration as it can save $1000's per year for eligible members. The good news is that many people are eligible! 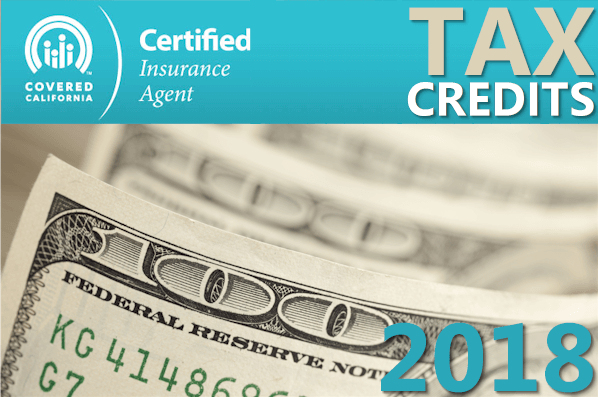 Let's go through the updated income levels and understand how to the tax credit will work for 2018. Make sure to enter your household size (more detail below) and income estimate (detail below) to get the tax credit detail. You'll see your estimate at the top of the page but it will be deducted from the rates automatically. What income do they look at for 2018? Every year, the income levels go up to qualify for the tax credit. If you were just on the cusp between medi-cal and a tax credit, you may need to update your income estimate or the system may roll you automatically to medi-cal. There are special income breaks which have importance. FPL. This is the Federal Poverty Level for the 50 core States and most importantly to us, California. All the the important numbers are multiples of this key rate. 138%. 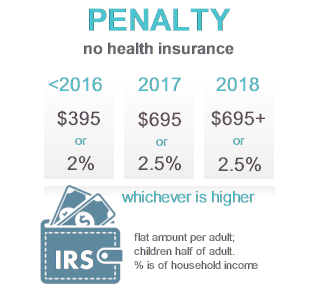 This is the California adjusted number which acts as a dividing line between Medi-cal eligibility and the standard plans for adults 19 and over. Below this amount, adults will likely be eligible for Medi-cal. Above this amount but below 400%, you will likely be eligible for a standard plan or Enhanced Silver plan and some tax credit. 138% - 150% Adult eligibility for the Silver 94 plan. This is the richest plan on the market. These people will be eligible for the richest tax credit (which decreases on a sliding scale until 400%). Children under 19 eligible for Medi-cal. 150% - 200% Adult eligibility for the Silver 87 plan. Children under 19 eligible for Medi-cal. 200% - 250% Adult eligibility for Silver 73. Children under 19 eligible for Medi-cal. 250% - 266% Adult eligible for standard Metallic plans (Silver 70) and children eligible for Medi-cal. 266% - 400% Adults and children eligible for standard Metallic plans (Silver 70). Over 400% No tax credits. IMPORTANT: The Silver 87 and 94 are very rich plans. If you're just on the cusp of getting one of these, let's discuss to go over your income estimate. It can make a huge deal! Tricky enough that we created an entire article on how to calculate your 2018 income for Obamacare. We want to estimate our line 37 on the 1040 tax form (plus some extra items such as social security, tax-deferred income, foreign income, etc. For self-employed people, this is net business income and a few other deductions. If your situation is complicated, call us at 800-320-6269 or email us. This estimate is very, very important now. Let's clarify Covered Ca's definition of household. Simply put...household is everyone that files together on a 1040 tax form. Whether a person is living somewhere else. In college. Your senior parent. Do you claim them on taxes? Claim them for which year? We want to estimate your income for the 2018 year. It's the tax filing you'll submit April of 2019. That can be hard to do a full year in advance. All we can do is estimate and revise as we get better information during the year. 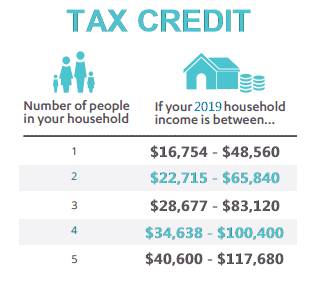 Your prior income (2017 and before) doesn't matter for 2018 tax credit. Things change year to year for many people. What if we make a mistake in our Income Estimate for 2018? We're being asked to estimate income a full year out. Many self-employed people have no idea of their income until December (think retail)! We can update income estimates any time during the year. Let's look at the two situations. What if we over-estimate our income? We'll recoup our tax credit at April tax filing. One note...we may have missed out on the enhanced Silver plans with a lower income estimate to match our actual income. What if we under-estimate our 2018 income? This is a bit worse depending on the variance. If we go over the tax credit cap (see amounts above), we'll have to pay back the entire tax credit. If we're under the tax credit cap, we'll have to pay back a percentage of the tax credit that we we were not eligible for. This all occurs at tax filing time. Many people make mistakes with the income piece. Let us help you! We should update as we get information that will move estimate +/- 10% typically (unless we're close to a cut-off). Get help on this from us. There are all kinds of gotcha's in the online system that can mess up the account. It has to be done a certain way and a certain time relative to payment or it can cancel the plan. The system is also known to make other changes while processing the simple income change. There's no cost our services as Certified Covered Ca agents. Just email us the updated income estimate and we'll get to work! With an existing Covered Ca account, you can quickly delegate us as the agent. The self-employed usually get the most benefit from the law. The estimate focuses on the Adjusted Gross Income (line 37 of the 1040 tax form). For w2 employees, they have to use their gross income. Self-employed can use their net business income. 100% of health insurance premium (up to taxable income). This can really bring down the AGI. 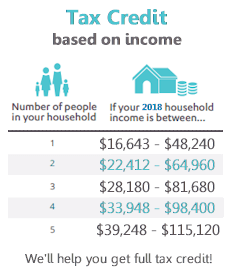 Most self-employed are surprised at what that line 37 is relative to their gross income. Again, we can help you with the estimate since it can be tricky. Get guidance on Calculating Income Estimate here. Enter your income estimate and household size in Quote here. Make sure to enroll in On-Exchange coverage here. Of course, this is a simplified walk through but we're here to help with more complicated questions. 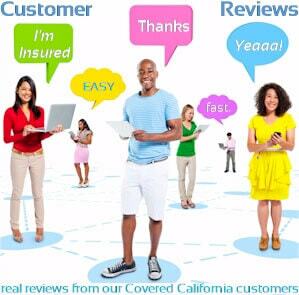 Our services are 100% free as Certified Covered Ca agent. If our income is in the right range, there are a few important steps to take. 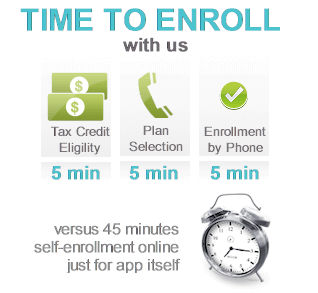 We must enroll on-exchange here to get the tax credit. You must have legal status in the U.S. There are a few other requirements that are less common but we can help you with more complicated issues. We can't express to you how important this tax credit is. You get it right away...no waiting till April. It can be $1000's each year. It might indicate you also get richer benefits with the enhanced Silver plans. Half the people we help who originally self-enrolled had mistakes in the app that prevented them from getting the full tax credit they we're eligible for. Get assistance...it's free to you! You can run your 2018 Health Quote with Taxic Credits to view rates and plans side by side from the major carriers...Free.